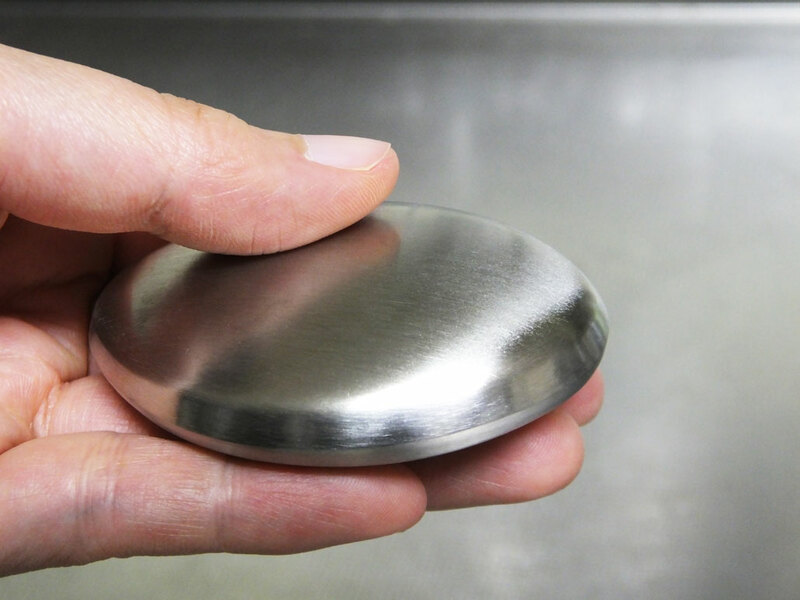 I found a stainless steel soap at a 100 yen shop. The package said that it would help you to reduce the odor after cutting fish and onions. I couldn’t believe it but decided to give it a try, as it seemed interesting. 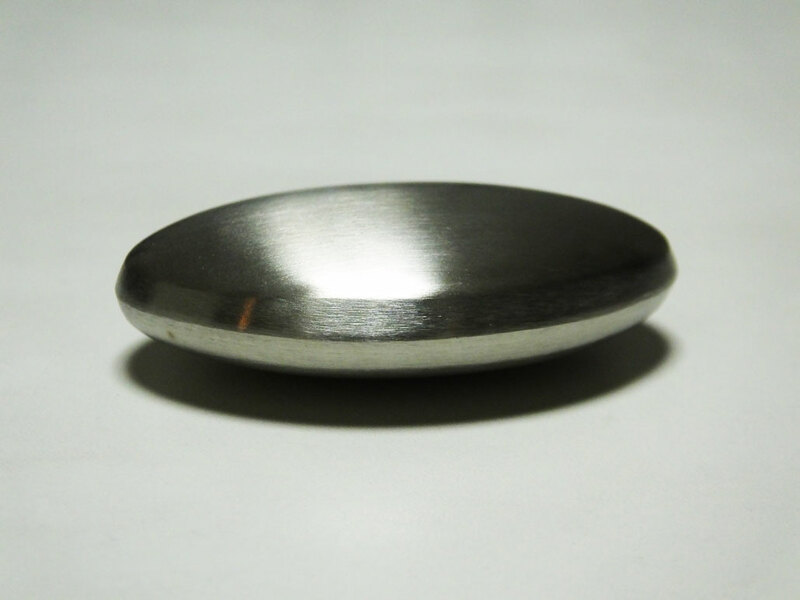 It is named Stainless Steel Soap, but of course it is not a soap but just a piece of stainless steel. According to the description, it does not clean your hands, but can remove common kitchen odors. When you use it, rub it for 30-40 seconds under running water. Let’s bring it to the kitchen. Does it work? I cut onions, and washed my hands with water. The smell of the onions lingered on my fingers. 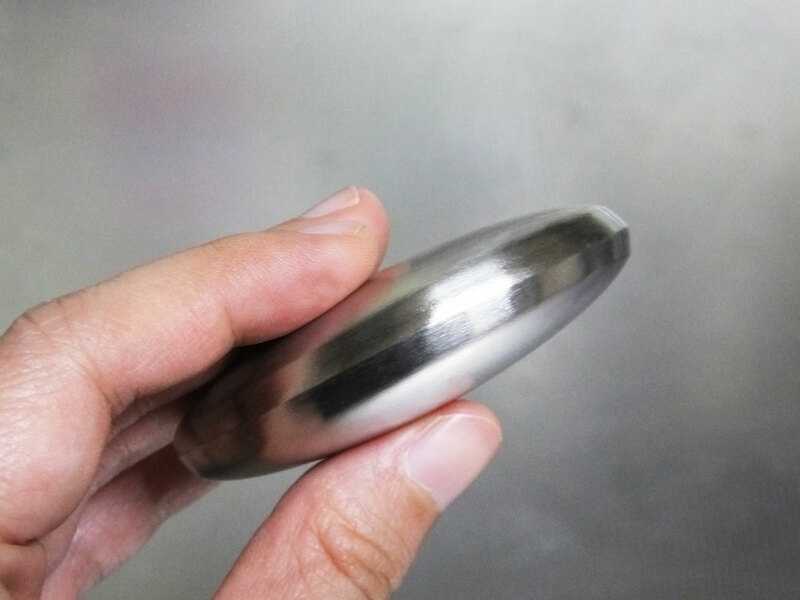 It’s OK. Now it’s time for Stainless Steel Soap! I washed my hands with it, and smelled my fingers again. I thought the smell got much better, though it had not all gone. Then I cut fish. The fish odor was very strong and it lingered even after I washed my hands with Stainless Steel Soap. 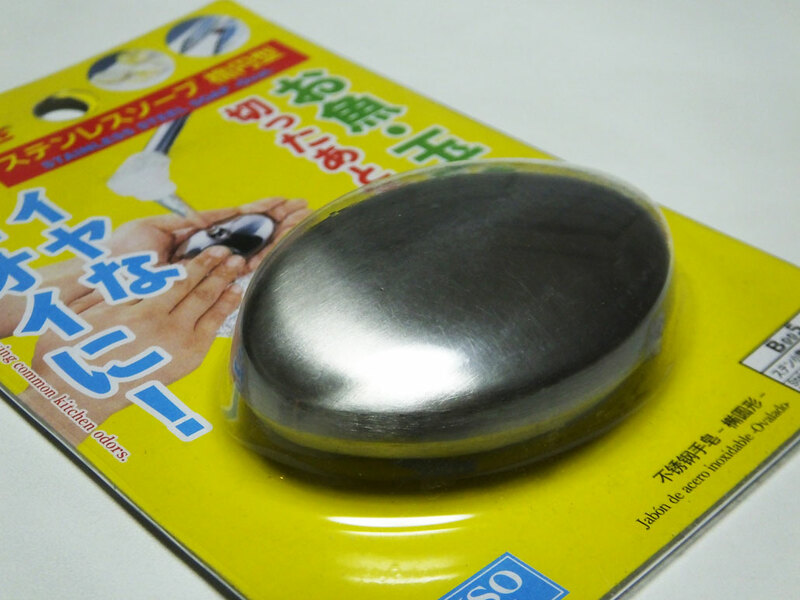 I washed my hands with it for longer time, and then, the odor got better. I think the Stainless Steel Soap is good to neutralize the smell of onions. It’s a little difficult to eliminate the fish odor immediately, but it’s better to use it than nothing. Anyway, it is a bit fun experience, so if you are interested in it, I recommend to try it. It is only 100 yen.